Today was a good day to be at work. I was joined last night by Dan Gates to ride Torridon. After a false start that involved, guess what, a technology failure that saw us trundle back down the entire length of Glen Torridon to learn how to reformat SD cards (that was fun), we eventually left to ride the classic Coulgs route around 12. 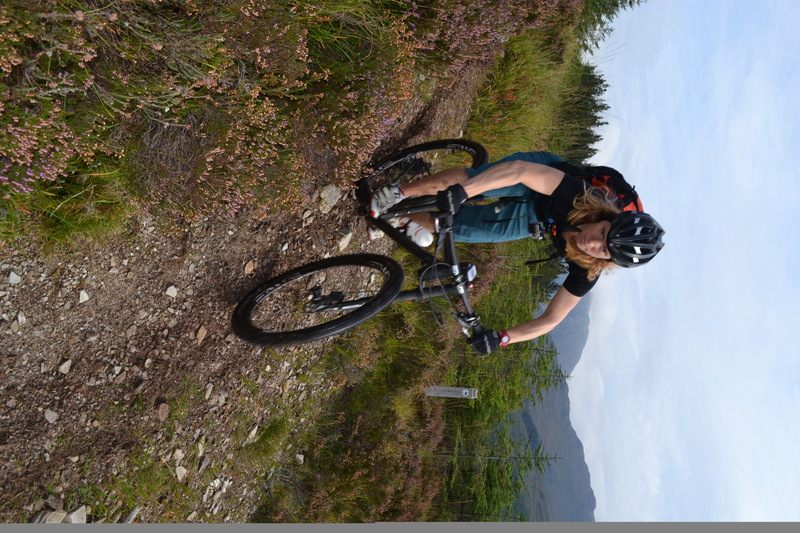 Dropping down to Achnashellach on a cheeky wee bit of single track, Dan showed me how to take a photo. Popping out onto the road at Achnashellach, we bumped into Kenta Gallacher who gave a Go Pro a delightful message that I will edit out before passing any footage over to innocent eyes.Charmer. The sun was out by now and so we muscled our way up the Coulags climb in shorts and t shirts not quite believing our luck. Chumed by a group of 5 other riders, we leapfrogged each other as members of both parties punctured. The descent to Annat never fails to disappoint and the views over the sea when we turned that last corner out the coire, took my breath away. Tomorrow we head for Skye. If the riding is half as good as it was today, I’m not sure how I’ll contain myself. I’ll try.